Randy Elf, a Jamestown, New York, native, attended Jamestown Public Schools and Southwestern Central School. After graduating as valedictorian from Southwestern, he graduated with honors from Duke University and was Duke’s first guest teacher at Landheim Schondorf, a German-language boarding school in Schondorf am Ammersee, Germany. Thereafter, he held a one-year position as a German teacher at Southwestern, was an assistant to authors and lecturers Dr. Russell Kirk and Annette Kirk, and covered education and federal and state affairs for The Post-Journal in Jamestown, where his reporting was instrumental in completing Interstate 86 in Chautauqua County. 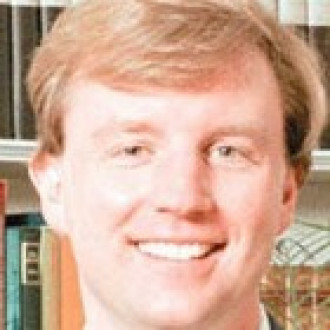 He graduated as president of his law-school class at Syracuse University—where he co-founded a chapter of the Federalist Society, in which he remains active—and clerked for two federal judges: Brevard Hand of the U.S. District Court for the Southern District of Alabama in Mobile, and Alice Batchelder of the U.S. Court of Appeals for the Sixth Circuit in Medina, Ohio. Having been involved in political campaigns beginning with the first campaign of U.S. Rep. Amo Houghton, he twice ran for the New York State Assembly against a long-term incumbent in Chautauqua County. Dr. Elf has practiced law, both at the Federal Election Commission and privately. Since 2010, no one in the country has had more experience briefing and conducting hearings on the constitutionality of political-speech law. Much of his experience is reflected in his 2016 Regent University Law Review article. In 2018, he explored seeking the Republican and Conservative parties’ nominations for New York attorney general. He has been active in his family’s church and several community organizations in the Jamestown area; is an occasional columnist for The Post-Journal and the Dunkirk Observer; and enjoys participating in several sports, particularly water sports, traveling, and rooting for the Duke Blue Devils and the Buffalo Bills. His immediate family lives in the Jamestown area.